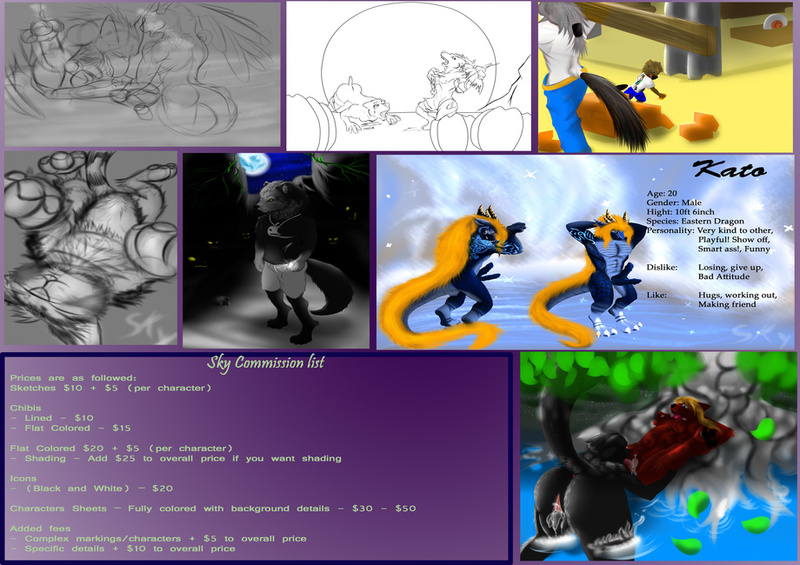 Hello there everyone, I am open for cheap commissions. I may do an auction if I have any ideas to make it or have time to do. So let’s get this started below is a list of what I will and will not draw. Note: If you do not see any theme in the will not draw list and are unsure of, if I will draw it; please ask me and I’ll answer promptly to the theme in question. Well, all the price is reasonable and if any Question please ask directly. If you wonder why other get free art, because they are my best friend and a family to me that all. Also If you want to contact me in personal here my skype tyran_Aque. Oh, if you trying to flirt me or Rp with me...sorry I don't discount or do a favor for anyone. As an added bonus, there will be a secret word that I'll either be posting via journal or on tumblr; once every month or 2 months for a chance for free art. The secret word is good only for one person. So whomever is the first to note or PM me will be getting free art.